Look up and smile! Then sit back and enjoy!Let’s give your conservatory ceiling the feel-good factor – 365 days a year! Look up and smile! Then sit back and enjoy! Let’s give your conservatory ceiling the feel-good factor – 365 days a year! Our insulated ceilings look great and come in different finishes and colours to suit your style. The ceiling creates a warm light feel, making your conservatory a real pleasure to be in whether you’re working, working out or putting your feet up. They can normally be installed in about a day, so you’ll get that feel good factor which comes with having a beautiful space, sooner than you think. Quality: Our ceilings are long lasting, low maintenance and they provide much better insulation and thermal performance than a traditional conservatory ceiling. High standard of workmanship: We have 15 years’ experience and a Checkatrade overall satisfaction rating of 9.92 for our: reliability, timekeeping, tidiness, courtesy and of course workmanship! Guarantee: Our insulated ceilings have a 5-year service guarantee and a 10-year manufacturer’s warranty. Delighted with the work completed and the fast and efficient manner in which it was carried out. The two people who came were very efficient, polite and did a great job, thank you. 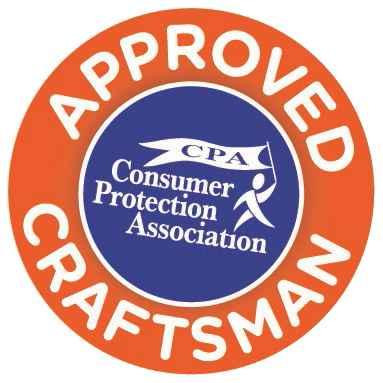 Our customers give us consistently good reviews on Checkatrade and we are extremely proud of our 9.92 average score. We have been installing insulated ceilings and lightweight tiled roofs for over 15 years and take pride in our work, making every effort to ensure our customers are completely happy with their refurbished conservatories. It’s not all about looks! Having a great looking room is one thing but it’s got to be practical as well. So, there are special air vents to prevent condensation and mould and the insulated ceiling reduces noise from outside whether that’s rain, traffic or noisy neighbours! We use a high-quality insulation which is ultra-thin (so you don’t lose any room height) but performs 13% better than other traditional insulators. Meaning you can get much more use out of your room whilst still saving money on heating bills! You’ll also find the ceiling means no more sun glare on your TV or computer screen and your furniture and carpets won’t fade as much. Just pull up your favourite chair and enjoy your new space. We recommend PVC-U because it creates a warm feel to your room and is long lasting and very low maintenance. It won’t crack, absorb moisture, stain or collapse and you just wipe it with a damp cloth once in a while. We have a choice of 5 finishes from traditional to ultra-modern, so you can match your ceiling to suit you. We do offer a plasterboard finish as well, if you want to your ceiling to blend with the rest of the house. It’s flexible and sag resistant, as well as being environmentally friendly and you can opt for roof windows and spot lighting. Office kept in touch. Several calls to ensure correct style and colour. Fitters arrived on time and completed whole job within 4 hours. Very pleased! Time keeping and professional workmanship were all excellent. Very pleased with finished product. Would definitely recommend them. I have a conservatory around 8m2 and the work took around 3 hours. Yes, the workmen were great, polite, tidy, super quick etc! But, I am amazed that I can actually walk into the conservatory now without it feeling like a freezer! I was considering “double insulation” but in the end chose single. The temperature is now the same as the rest of the house. I will consider a small wall-heater to get it to a desired cosy temp. I am really pleased. Why did I wait so long? Ready to Transform your Conservatory? Please contact us to arrange a FREE survey and our fitters will measure your conservatory in order to give you a precise, no obligation quote which includes materials of your choice, labour and VAT.